We love noodles in our house. I lived in Hong Kong for a couple of years as a child and the food there was amazing. It has definitely influenced my cooking. These could also be seen as a total cheats way to make Pad Thai, which I love. These noodles are a super quick meal and can be made from storecupboard ingredients plus whatever veggies you have to hand. I’ve adapted these from a Nigella recipe. 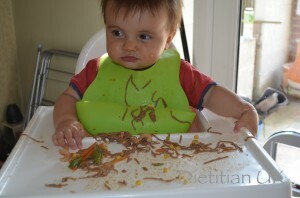 I’ve found they are great (but messy) food for a baby, mine loved getting his hands into the sticky noodles! 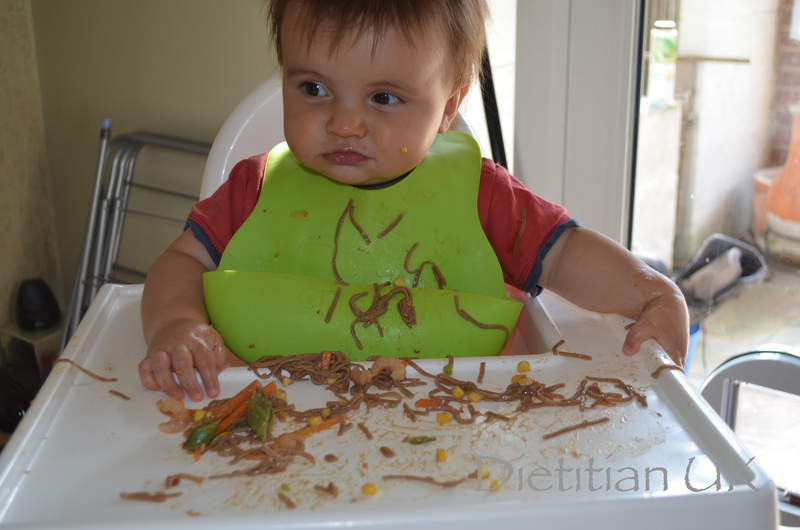 Miss K loves anything with noodles and emptied her plate and asked for the same meal the next day and the hubby (who doesn’t like peanut butter – sssssh) loves them too. I really must make these more often. We tend to keep this as a summery meal as it is better eaten warm or cold. Why not make extra and keep it for lunch the next day. 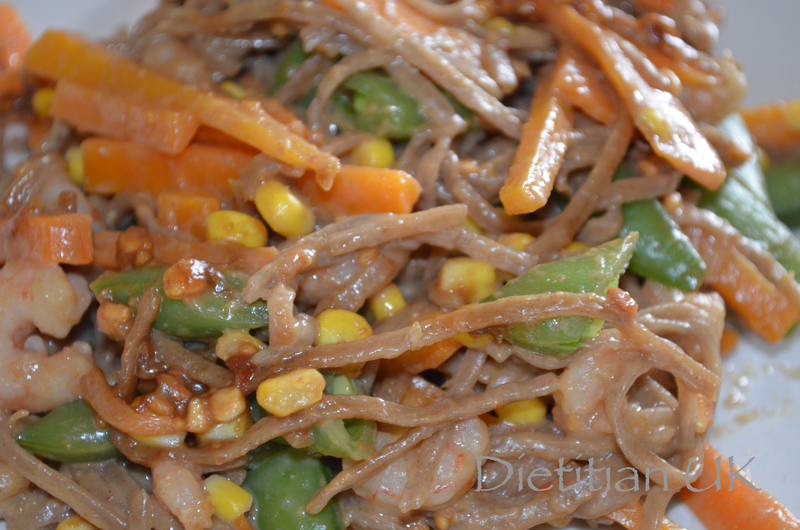 Super quick noodle recipe that will satisy a hungry family fast. Slice and prepare the vegetables. Peppers and bean sprouts also work well in this recipe. Use whatever you have to hand. Put into a saucepan with the noodles. Boil the kettle then pour over the noodles and vegetables, bring to the boil and simmer until the noodles are cooked. Add the prawns towards the end of cooking to defrost them. Strain the noodles and vegetables and leave to cook a little whilst you make the dressing. Mix up the dressing and pour over the noodles, stir well to combine and serve. Use rice noodles and wheat/gluten free soy sauce to make this wheat/gluten free.